The Internal Revenue Code of 1986 (IRC) is the domestic federal statuatory tax law of the United States. Implemented by the Internal Revenue Service (IRS), it represents the codified procedures and administration of legislation enacted by Congress. It is organized into many sections covering income tax, payroll taxes, estate taxes, gift taxes, and excise taxes. Section 41 and Section 174 are responsible for defining and explaining the specific details related to claiming and calculating the R&D (formally, the Research & Experimentation) tax credit. Title 26: Internal Revenue Code -- Subtitle A: Income Taxes -- Chapter 1: Normal Taxes and Surtaxes -- Subchapter A: Determination of Tax Liability -- Part IV: Credits Against Tax -- Subpart D: Business Related Credits -- Section 41: Credit for Increasing Research Activities of the Code of Laws of the United States of America describes the credit for increasing research activities. (3) 20 percent of the amounts paid or incurred by the taxpayer in carrying on any trade or business of the taxpayer during the taxable year (including as contributions) to an energy research consortium for energy research. (iii) under regulations prescribed by the Secretary, any amount paid or incurred to another person for the right to use computers in the conduct of qualified research. Clause (iii) shall not apply to any amount to the extent that the taxpayer (or any person with whom the taxpayer must aggregate expenditures under subsection (f)(1) receives or accrues any amount from any other person for the right to use substantially identical personal property. (ii) engaging in the direct supervision or direct support of research activities which constitute qualified research. If substantially all of the services performed by an individual for the taxpayer during the taxable year consists of services meeting the requirements of clause (i) or (ii), the term "qualified services" means all of the services performed by such individual for the taxpayer during the taxable year. (ii) property of a character subject to the allowance for depreciation. (i) In general The term "wages" has the meaning given such term by section 3401 (a). (ii) Self-employed individuals and owner-employees In the case of an employee (within the meaning of section 401 (c)(1)), the term "wages" includes the earned income (as defined in section 401(c)(2)) of such employee. (iii) Exclusion for wages to which work opportunity credit applies The term "wages" shall not include any amount taken into account in determining the work opportunity credit under section 51 (a). The term "contract research expenses" means 65 percent of any amount paid or incurred by the taxpayer to any person (other than an employee of the taxpayer) for qualified research. If any contract research expenses paid or incurred during any taxable year are attributable to qualified research to be conducted after the close of such taxable year, such amount shall be treated as paid or incurred during the period during which the qualified research is conducted. (i) In general Subparagraph (A) shall be applied by substituting "75 percent" for "65 percent" with respect to amounts paid or incurred by the taxpayer to a qualified research consortium for qualified research on behalf of the taxpayer and 1 or more unrelated taxpayers. For purposes of the preceding sentence, all persons treated as a single employer under subsection (a) or (b) of section 52 shall be treated as related taxpayers. (III) is not a private foundation. (III) an organization which is a Federal laboratory, for qualified research which is energy research, subparagraph (A) shall be applied by substituting "100 percent" for "65 percent". (II) in the case of a small business which is not a corporation, the capital and profits interests of the small business. (I) In general The term "small business" means, with respect to any calendar year, any person if the annual average number of employees employed by such person during either of the 2 preceding calendar years was 500 or fewer. For purposes of the preceding sentence, a preceding calendar year may be taken into account only if the person was in existence throughout the year. (II) Startups, controlled groups, and predecessors Rules similar to the rules of subparagraphs (B) and (D) of section 220 (c)(4) shall apply for purposes of this clause. (iv) Federal laboratory For purposes of this subparagraph, the term "Federal laboratory" has the meaning given such term by section 4(6) of the Stevenson-Wydler Technology Innovation Act of 1980 (15 U.S.C. 3703 (6)), as in effect on the date of the enactment of the Energy Tax Incentives Act of 2005. (B) of 1 or more other persons who with the taxpayer are treated as a single taxpayer under subsection (f)(1). (B) the average annual gross receipts of the taxpayer for the 4 taxable years preceding the taxable year for which the credit is being determined (hereinafter in this subsection referred to as the "credit year"). In no event shall the base amount be less than 50 percent of the qualified research expenses for the credit year. Except as otherwise provided in this paragraph, the fixed-base percentage is the percentage which the aggregate qualified research expenses of the taxpayer for taxable years beginning after December 31, 1983, and before January 1, 1989, is of the aggregate gross receipts of the taxpayer for such taxable years. (II) there are fewer than 3 taxable years beginning after December 31, 1983, and before January 1, 1989, in which the taxpayer had both gross receipts and qualified research expenses. (VII) for taxable years thereafter, the percentage which the aggregate qualified research expenses for any 5 taxable years selected by the taxpayer from among the 5th through the 10th such taxable years is of the aggregate gross receipts of the taxpayer for such selected years. (iii) Treatment of de minimis amounts of gross receipts and qualified research expenses The Secretary may prescribe regulations providing that de minimis amounts of gross receipts and qualified research expenses shall be disregarded under clauses (i) and (ii). In no event shall the fixed-base percentage exceed 16 percent. (D) Rounding The percentages determined under subparagraphs (A) and (B)(ii) shall be rounded to the nearest 1/100th of 1 percent. (iii) 5 percent of so much of such expenses as exceeds 2 percent of such average. An election under this paragraph shall apply to the taxable year for which made and all succeeding taxable years unless revoked with the consent of the Secretary. 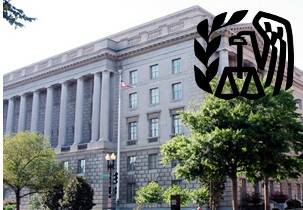 At the election of the taxpayer, the credit determined under subsection (a)(1) shall be equal to 14 percent (12 percent in the case of taxable years ending before January 1, 2009) of so much of the qualified research expenses for the taxable year as exceeds 50 percent of the average qualified research expenses for the 3 taxable years preceding the taxable year for which the credit is being determined. (i) Taxpayers to which subparagraph applies The credit under this paragraph shall be determined under this subparagraph if the taxpayer has no qualified research expenses in any one of the 3 taxable years preceding the taxable year for which the credit is being determined. (ii) Credit rate The credit determined under this subparagraph shall be equal to 6 percent of the qualified research expenses for the taxable year. An election under this paragraph shall apply to the taxable year for which made and all succeeding taxable years unless revoked with the consent of the Secretary. An election under this paragraph may not be made for any taxable year to which an election under paragraph (4) applies. Notwithstanding whether the period for filing a claim for credit or refund has expired for any taxable year taken into account in determining the fixed-base percentage, the qualified research expenses taken into account in computing such percentage shall be determined on a basis consistent with the determination of qualified research expenses for the credit year. The Secretary may prescribe regulations to prevent distortions in calculating a taxpayer's qualified research expenses or gross receipts caused by a change in accounting methods used by such taxpayer between the current year and a year taken into account in computing such taxpayer's fixed-base percentage. For purposes of this subsection, gross receipts for any taxable year shall be reduced by returns and allowances made during the taxable year. In the case of a foreign corporation, t here shall be taken into account only gross receipts which are effectively connected with the conduct of a trade or business within the United States, the Commonwealth of Puerto Rico, or any possession of the United States. Paragraph (1) shall be applied separately with respect to each business component of the taxpayer. (ii) used by the taxpayer in a trade or business of the taxpayer. Any plant process, machinery, or technique for commercial production of a business component shall be treated as a separate business component (and not as part of the business component being produced). Research shall in no event be treated as conducted for a purpose described in this paragraph if it relates to style, taste, cosmetic, or seasonal design factors. Any research conducted after the beginning of commercial production of the business component. Any research related to the adaptation of an existing business component to a particular customer's requirement or need. Any research related to the reproduction of an existing business component (in whole or in part) from a physical examination of the business component itself or from plans, blueprints, detailed specifications, or publicly available information with respect to such business component. (v) routine or ordinary testing or inspection for quality control. (ii) a production process with respect to which the requirements of paragraph (1) are met. Any research conducted outside the United States, the Commonwealth of Puerto Rico, or any possession of the United States. Any research in the social sciences, arts, or humanities. Any research to the extent funded by any grant, contract, or otherwise by another person (or governmental entity). (B) that portion of such basic research payments which does not exceed the qualified organization base period amount shall be treated as contract research expenses for purposes of subsection (a)(1). (ii) such basic research is to be performed by such qualified organization. In the case of a qualified organization described in subparagraph (C) or (D) of paragraph (6), clause (ii) of subparagraph (A) shall not apply. (ii) the amounts treated as contract research expenses during the base period by reason of this subsection (as in effect during the base period). Except in the case of a taxpayer which was in existence during a taxable year (other than a short taxable year) in the base period, the minimum basic research amount for any base period shall not be less than 50 percent of the basic research payments for the taxable year for which a determination is being made under this subsection. (ii) the amount of nondesignated university contributions paid by the taxpayer during such taxable year. (II) as a basic research payment for purposes of this section. (i) In general The cost-of-living adjustment for any calendar year is the cost-of-living adjustment for such calendar year determined under section 1 (f)(3), by substituting "calendar year 1987" for "calendar year 1992" in subparagraph (B) thereof. (ii) Special rule where base period ends in a calendar year other than 1983 or 1984 If the base period of any taxpayer does not end in 1983 or 1984, section 1 (f)(3)(B) shall, for purposes of this paragraph, be applied by substituting the calendar year in which such base period ends for 1992. Such substitution shall be in lieu of the substitution under clause (i). (ii) is described in section 170 (b)(1)(A)(ii). (II) substantially all of the basic research payments received by it, for grants to, or contracts for basic research with, an organization described in subparagraph (A). (iv) makes an election, revocable only with the consent of the Secretary, to be treated as a private foundation for purposes of this title (other than section 4940, relating to excise tax based on investment income). (i) basic research conducted outside of the United States, and (ii) basic research in the social sciences, arts, or humanities. The term "base period" means the 3-taxable-year period ending with the taxable year immediately preceding the 1st taxable year of the taxpayer beginning after December 31, 1983. (ii) shall not be included in the computation of base amount under subsection (a)(1)(B). For purposes of applying subsection (b)(1) to this subsection, any basic research payments shall be treated as an amount paid in carrying on a trade or business of the taxpayer in the taxable year in which it is paid (without regard to the provisions of subsection (b)(3)(B)). (iii) a service organization (as defined in section 414 (m)(3)). (ii) the credit (if any) allowable by this section to each such member shall be its proportionate shares of the qualified research expenses, basic research payments, and amounts paid or incurred to energy research consortiums, giving rise to the credit. (ii) the credit (if any) allowable by this section to each such person shall be its proportionate shares of the qualified research expenses, basic research payments, and amounts paid or incurred to energy research consortiums, giving rise to the credit. The regulations prescribed under this subparagraph shall be based on principles similar to the principles which apply in the case of subparagraph (A). Under regulations prescribed by the Secretary, rules similar to the rules of subsection (d) ofsection 52 shall apply. In the case of partnerships, the credit shall be allocated among partners under regulations prescribed by the Secretary. (3) Adjustments for certain acquisitions, etc. If, after December 31, 1983, a taxpayer acquires the major portion of a trade or business of another person (hereinafter in this paragraph referred to as the "predecessor") or the major portion of a separate unit of a trade or business of a predecessor, then, for purposes of applying this section for any taxable year ending after such acquisition, the amount of qualified research expenses paid or incurred by the taxpayer during periods before such acquisition shall be increased by so much of such expenses paid or incurred by the predecessor with respect to the acquired trade or business as is attributable to the portion of such trade or business or separate unit acquired by the taxpayer, and the gross receipts of the taxpayer for such periods shall be increased by so much of the gross receipts of such predecessor with respect to the acquired trade or business as is attributable to such portion. (ii) the taxpayer furnished the acquiring person such information as is necessary for the application of subparagraph (A), then, for purposes of applying this section for any taxable year ending after such disposition, the amount of qualified research expenses paid or incurred by the taxpayer during periods before such disposition shall be decreased by so much of such expenses as is attributable to the portion of such trade or business or separate unit disposed of by the taxpayer, and the gross receipts of the taxpayer for such periods shall be decreased by so much of the gross receipts as is attributable to such portion. (ii) the product of the number of taxable years so taken into account, multiplied by the amount of the reimbursement described in this subparagraph. In the case of any short taxable year, qualified research expenses and gross receipts shall be annualized in such circumstances and under such methods as the Secretary may prescribe by regulation. (B) the determination shall be made without regard to subsections (a)(4) and (e)(3)(C) ofsection 1563. (iv) to which no single person paid or incurred (including as contributions) during such calendar year an amount equal to more than 50 percent of the total amounts received by such organization during such calendar year for energy research. All persons treated as a single employer under subsection (a) or (b) ofsection 52 shall be treated as related persons for purposes of subparagraph (A)(iii) and as a single person for purposes of subparagraph (A)(iv). For purposes of subsection (a)(3), amounts paid or incurred for any energy research conducted outside the United States, the Commonwealth of Puerto Rico, or any possession of the United States shall not be taken into account. Any amount taken into account under subsection (a)(3) shall not be taken into account under paragraph (1) or (2) of subsection (a). The term "energy research" does not include any research which is not qualified research. (4) is a shareholder in an S corporation, the amount determined under subsection (a) for any taxable year shall not exceed an amount (separately computed with respect to such person's interest in such trade or business or entity) equal to the amount of tax attributable to that portion of a person's taxable income which is allocable or apportionable to the person's interest in such trade or business or entity. If the amount determined under subsection (a) for any taxable year exceeds the limitation of the preceding sentence, such amount may be carried to other taxable years under the rules of section 39; except that the limitation of the preceding sentence shall be taken into account in lieu of the limitation of section 38 (c) in applying section 39. (B) after December 31, 2011. No election under subsection (c)(4) shall apply to taxable years beginning after December 31, 2008. (B) for purposes of subsection (c)(5), the average qualified research expenses for the preceding 3 taxable years shall be the amount which bears the same ratio to such average qualified research expenses (determined without regard to this paragraph) as the number of days in such taxable year to which this section applies bears to the total number of days in such taxable year. Download a PDF of the IRC Section 41 for your convenience. Title 26: Internal Revenue Code -- Subtitle A: Income Taxes -- Chapter 1: Normal Taxes and Surtaxes -- Subchapter B: Computation of Taxable Income -- Part VI: Itemized Deductions for Individuals and Corporations -- Section 174: Research and Experimental Expendituresof the Code of Laws of the United States of America describes details of research and experimental expenditures. (ii) for which expenditures described in paragraph (1) are paid or incurred. (B) With consent A taxpayer may, with the consent of the Secretary, adopt at any time the method provided in this subsection. (3) Scope The method adopted under this subsection shall apply to all expenditures described in paragraph (1). The method adopted shall be adhered to in computing taxable income for the taxable year and for all subsequent taxable years unless, with the approval of the Secretary, a change to a different method is authorized with respect to part or all of such expenditures. may be treated as deferred expenses. In computing taxable income, such deferred expenses shall be allowed as a deduction ratably over such period of not less than 60 months as may be selected by the taxpayer (beginning with the month in which the taxpayer first realizes benefits from such expenditures). Such deferred expenses are expenditures properly chargeable to capital account for purposes of section 1016 (a)(1) (relating to adjustments to basis of property). (2) Time for and scope of election The election provided by paragraph (1) may be made for any taxable year beginning after December 31, 1953, but only if made not later than the time prescribed by law for filing the return for such taxable year (including extensions thereof). The method so elected, and the period selected by the taxpayer, shall be adhered to in computing taxable income for the taxable year for which the election is made and for all subsequent taxable years unless, with the approval of the Secretary, a change to a different method (or to a different period) is authorized with respect to part or all of such expenditures. The election shall not apply to any expenditure paid or incurred during any taxable year before the taxable year for which the taxpayer makes the election. (1) For adjustments to basis of property for amounts allowed as deductions as deferred expenses under subsection (b), see section 1016 (a)(14). (2) For election of 10-year amortization of expenditures allowable as a deduction under subsection (a), see section 59 (e). Download a PDF of the IRC Section 174 for your convenience.